Looking back, it’s hard to believe that it was only last Monday, October 3, that Ashley B and Coleman’s world was rocked with the news that their two month old son had a huge hole in his heart that would require surgery to repair. They have been through more in the past ten days than many more young parents could ever imagine. Their initial reaction was shock, and then, of course, fear! Fear of the unknown. Fear of what lay ahead. Fear of losing their firstborn child. But Ashley B and Coleman have persevered; they have been strong, even in their moments of weakness. They have relied on each other, and on the Lord. They have relied on the doctors and nurses at CHKD, and they have prayed. Their family and friends have surrounded them with love and support. 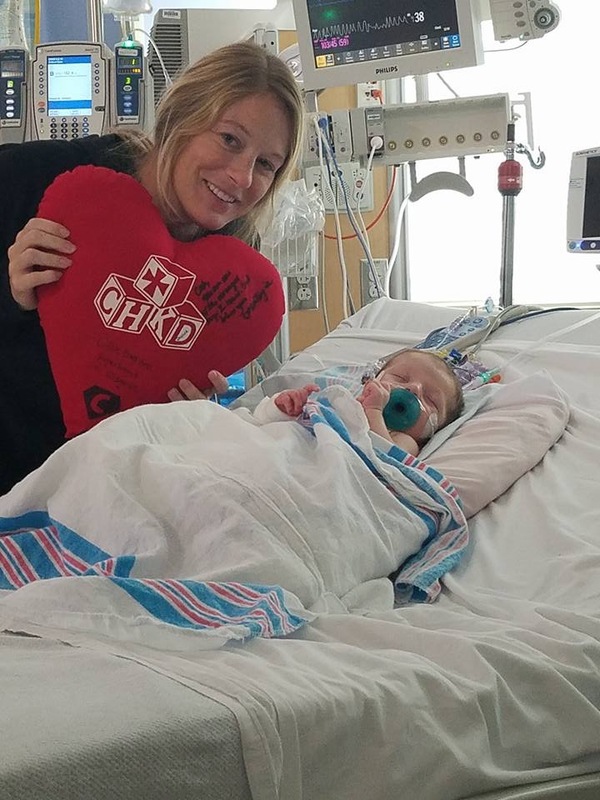 Just one long week after baby Cash was diagnosed with the hole in his heart, they found themselves sitting in a surgical waiting room, waiting for the surgeons to repair his baby heart. Waiting for the news they both dreaded and anticipated. And they were so relieved when the news was good! This series has been mostly written by his mom and dad. Their own words are for more powerful than any I could write. “With so many medical terms and so many things going on, we have heard things a hundred times over, and then sometimes not really hear them at all. Apparently our little guy had one more thing repaired that I just caught while hearing the medical team making their report last night. He had both an ASD and VSD repair apparently. ASD is more common. One in twenty people have one and never know. [ASD stands for Atrial Septal Defect which causes a hole in the wall between the heart’s upper chambers. VSD is Ventricular Septal Defect which is a hole between the lower chambers of the heart. ] Cash’s was a small flap in between the two upper chambers, while the VSD repair was the very large hole in between the two bottom chambers. The good news is that Cash finally got to eat ate last night [Wednesday night] for the first time since Monday night. And this morning his catheter was removed. The drainage tubes are having more fluid/blood draining than they originally anticipated, so he may have that in for another day. His blood pressure is still high. Last night they had to increase the meds; this morning they are lowering them. His blood pressure needs to be down before the IV can come out of his neck. He will still have the other two IV’s in for a while. Thank you all for taking the time to read about this sweet little boy. Thank you for your prayers.